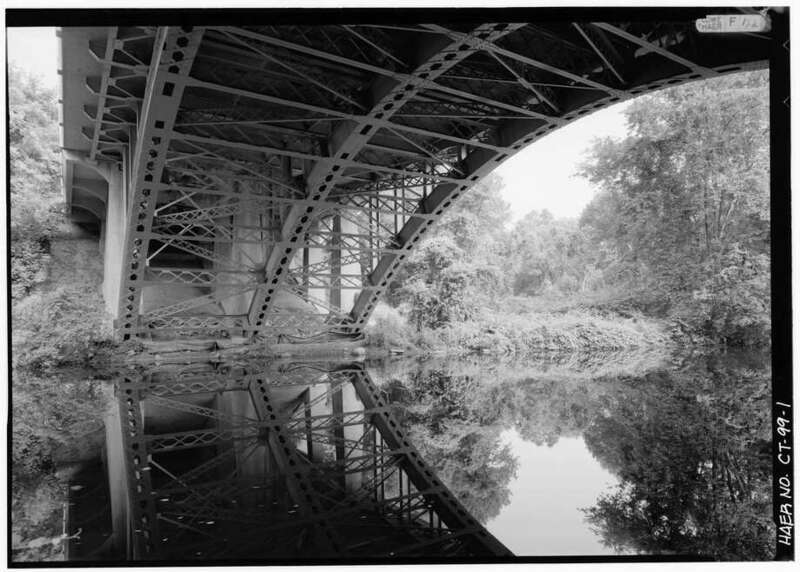 The Library of Congress website houses this historic photo of the Merritt Parkway Saugatuck River Bridge, which was named to the American Road & Transportation Builders Association 2019 list of "structurally deficient" bridges in the U.S.
WESTPORT — The Saugatuck River Bridge was named to the list of “structurally deficient” U.S. bridges in a new report published by the American Road & Transportation Builders Association. Built in 1938, the Saugatuck River Bridge, which runs along the Merritt Parkway adjacent to the Westprot Weston Family YMCA, is among 47,000 structurally deficient bridges in the U.S. and 308 such bridges in Connecticut, according to the Association’s report. Perhaps the bridge’s structurally deficient status — defined in the report as having one of the key elements in poor or worse condition — is caused by the estimated 69,900 crossings the bridge endures each day. Or, the deficiency is due to a lack of maintenance. Subsequent work on the bridge has not been completed since 1990, per information contained on the Library of Congress website. The report used data from the Federal Highway Administration’s 2018 National Bridge Inventory. While many politicians decry the declining state of Connecticut’s transportation infrastructure, the report says the 308, or 7.2 percent, of Connecticut bridges classified deficient in the new report is actually down from the 376 bridges classified as such in 2014. Interstate Highway System bridges account for 46 of the state’s structurally deficient bridges. In total, the report identified needed repairs on 421 bridges in the state at an estimated cost of $1.6 billion.